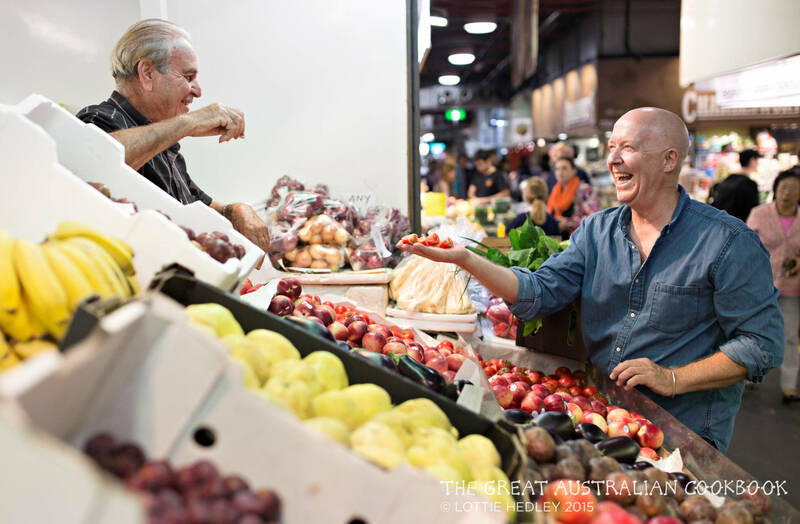 Mark Gleeson from Adelaide's Central Market is an institution with more than 20 years as a stallholder and food educator. I love this dish. I want to have it for dinner, then again for lunch the next day. It's bursting with flavour, full of crunch, and as Mark says, kids will eat these as fast as you can make them. 1 Cut the chicken breasts into long strips 2 cm (about 1”) wide, and marinate for 10 minutes in half the soy sauce, half the chilli sauce and all the lemon juice. 2 Cut long strips of carrot and cucumber, and chop the tomatoes into small chunks. 3 Unfold the roti prata, cut each in half and warm in a lightly oiled frying pan (skillet). Be careful that they don’t dry out as they won’t then roll – wrap them in tin foil after warming to help prevent them drying out. 4 Barbecue or pan-fry the chicken strips on a low to medium heat for 5–10 minutes, turning occasionally, until they are a golden cooked colour. 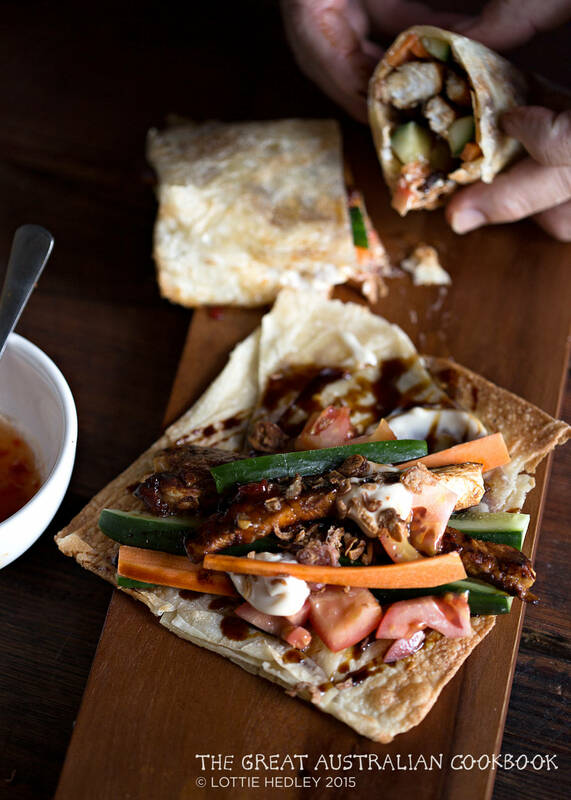 5 Lay a single serve of roti on a chopping board and drizzle with soy sauce, chilli sauce and a little mayonnaise. Place strips of carrot, cucumber and chicken on top and add some chopped tomato. Drizzle with more soy sauce, sprinkle with fried onions and roll the wrap up tightly. 6 Cut in two, serve and eat immediately – kids will eat these as fast as you can make them! Would you look at that! I know what I will be having on my table this weekend. Lunch or just a munch – this'll hit the spot!